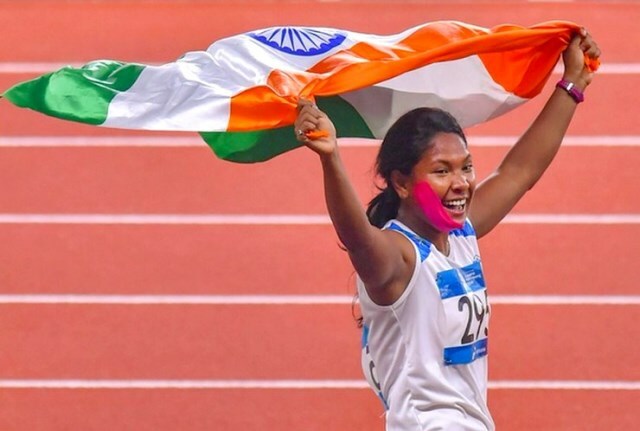 Kolkata: National award making filmmaker Srijit Mukherjee is planning to make a biopic of Asian gold medal-winning athlete Swapna Barman after the 21-year-old girl clinched top honour in grueling events of heptathlon at Jakarta, Indonesia.
" Yes I was contacted by movie maker Srijit Mukherjee while I was in Indonesia," Swapna, who before the winning gold medal, had been underrated by many sports officials for her height and having 12 toes, told a private TV channel. Swapna said she was happy for the offer and instantly agreed to the officer of the movie maker. She said the person, who will be given the role will have to work hard as heptathlete.Swapna also said if she was offered the role by the movie maker think also about it.Barman is the first Indian athlete to have won gold medal in heptathlon in Asian games. The heptathlon has seven events -100 metres hurdles, high jump, shot put, 200 metres, long jump, javelin throw and 800 race.